Mother’s Day falls on Sunday 26th March this year, so get in there early and organise a beautiful fun-filled spring weekend away for the most important woman in your life – your Mum. Equally other important women to treat on this very special day could be the mother of your children, a fantastic aunt or your wonderful grandma – any gorgeous lady who makes your life utterly fabulous really! Here are my suggestions for celebrating on the actual weekend/day and also future events that could be given as a gift on Mothering Sunday. A couple of new shows for 2017 are, first, Gary Barlow’s The Girls, based on the 2003 film and subsequent successful 2008 Chichester Festival/West End play Calendar Girls, is about a group of maverick W.I. members who decide to produce a “risque” calendar in order to raise funds for a local hospital’s cancer unit. BBC’s Let It Shine head judge and Take That front man, Barlow, has collaborated with screenplay writer Tim Firth to bring a musical that The Stage describes as “brilliant” and the Daily Mail reports as “Barlow’s Calendar Girls are a hit in this bracing, brassy, beautifully British comedy”. 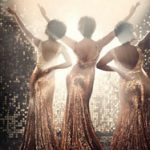 The other New Girls in the West End are the glittering Dreamgirls which opened at the Savoy theatre last November. With the stunning voical talents of tv’s Glee actress Amber Riley, it’s supposedly the ficticous story about the rise to stardom of a trio of black female singers in 1960s. However, it bares a striking resemblance to the real life ups and downs of mega girl group The Supremes. Featuring a superb musical score including the show stopping “I’m Telling You I’m Not Leaving”, Dreamgirls is guaranteed to be the “dream ticket” this Mother’s Day! 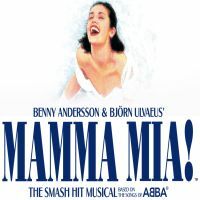 Of course, the ultimate girlie weekend should probably include a trip to the Novello theatre to see the Abba-tastic Mamma Mia which is still wowing audiences 18 years on from its UK premiere. With the backdrop of a Greek island, it’s a simple love story written around the smash-hit songs of Abba. Make sure your Mum is the dancing queen in this sunny, funny uplifting musical extravaganza of sing-out-loud songs. A couple of shows without any frills and sparkle are The Phantom of the Opera (although the Masquerade scene is lavishly decadent) or the multi-award winning Beautiful-The Carol King Musical . Phantom continues to draw audiences from around the world to witness Andrew Lloyd Webber’s most successful show to date. A love triangle between an aspiring opera starlet, a young French count and a mysterious masked man has kept this production in the Top Five Must See Shows since 1986. Although a much newer show, Beautiful looks set to be here for many a year more having firmly established itself as one of London’s top shows since opening at the Aldwych theatre in February 2015 and then promptly winning every award going over the next 12 months. Packed to the gills with memorable hits like Will You Love Me Tomorrow, Locomotion and It Might As Well Rain Until September you will truly have a Beautiful evening watching this fabulous show. You could combine your weekend with a Magic of London tour, Sunday lunch boat cruise or a Champagne flight on the Coca Cola London Eye. All these can be booked as an “extra” onto any theatre break (when you get to the “Your Booking Overview” page, scroll down to “Add Optional Extras“) or as a stand-alone weekend break. Want to push the boat out, literally? Then what about a sight-seeing cruise around the beautiful island of Jersey or three day pass to visit London’s top royal palaces? Whatever you chose for your Mum, partner, aunt or gran make this Mother’s Day one to remember for always! Right, now I’m off to drop mega hints to my nearest and dearest about what I’d like to be doing on 26th March and give them the heads up on next year when Mother’s Day falls on my birthday, so they will really have no excuses!